Peace, protests and Dark Shadows. 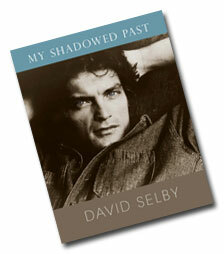 In My Shadowed Past, actor-writer David Selby reflects on a pivotal time in his life and career— a turbulent and vital period in the 1960s when America was experiencing profound social and political changes. It was an era in which civil rights marches and anti-war rallies were rampant as the youth movement organized in the streets and on campuses across the nation, demonstrating for peace and equality. In the midst of the turmoil and tension was a daily afternoon escape—an opportunity to become drawn into a Gothic world of fantasy, suspense and romance on the ABC-TV serial Dark Shadows. Selby joined the cast in 1968 as the mysterious Quentin Collins, and now, four decades later, documents the ongoing devotion to Dark Shadows and its special historical context. My Shadowed Past features previously unpublished photographs.